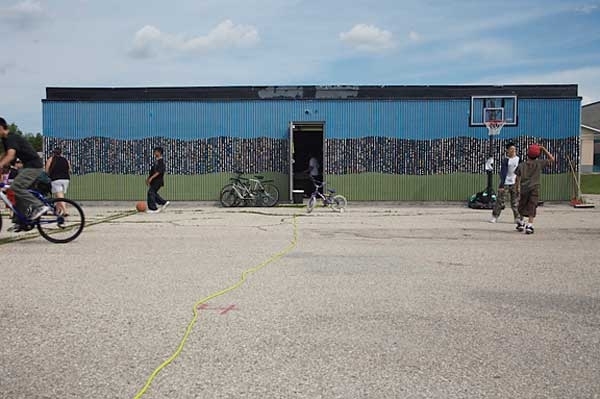 WITH ART is a project of the Public Art Program that creates opportunities for collaborative art projects between community groups and experienced, professional artists of all disciplines in Winnipeg. The program is based on the belief that WITH ART communities can explore issues, ideas, and concerns, voice community identity, express historical and cultural spirit, and create dialogue. Central to the WITH ART program is the principle that exploration and the process of art-making are of utmost importance. From the initial discussion period, it was clear that the focus for the Elwick Community would be the community centre. As a windowless and often tagged cinder block building, the bleak aesthetics belied the activity that was alive inside and inspired a desire to reflect this energy visually. Over several months Dimitry worked with staff and students of Elwick Community School and Maples Collegiate; with families, teachers, neighbours and parents, engaging members of the community from kindergarten-aged children to senior citizens. 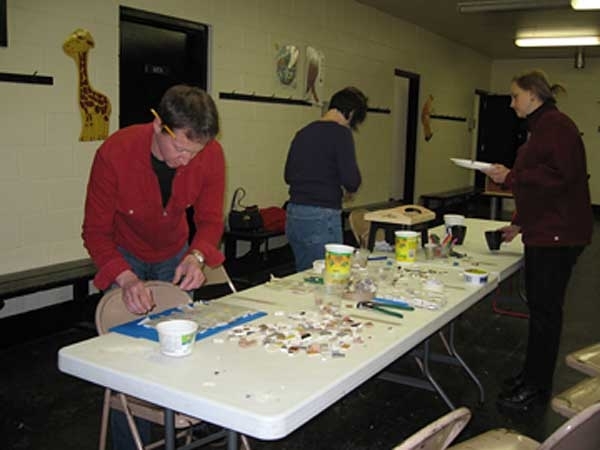 Mosaic workshops were held regularly where participants collectively created tile works and shared meals and conversation. 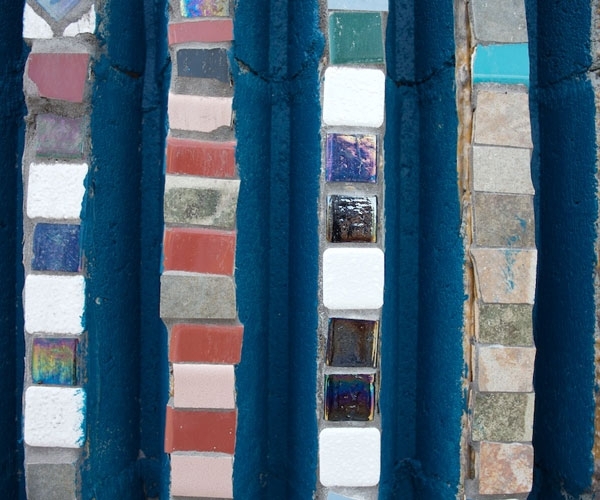 The preparation of the walls and the installation of the mosaic works also became a community event that instilled a deeper sense of ownership and pride. 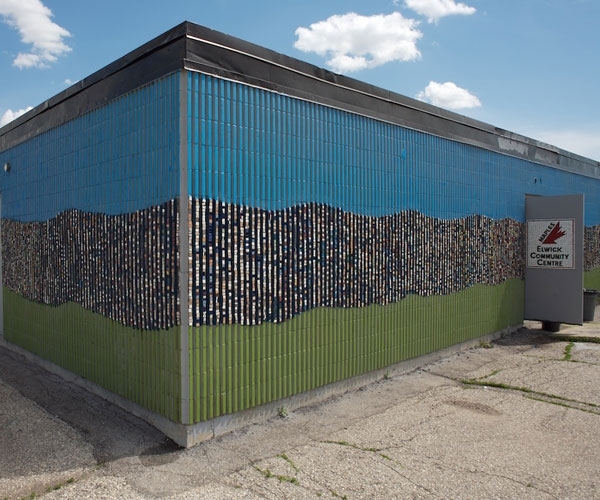 The colourful mosaic is spectacular and has had an enormous aesthetic impact on an otherwise unremarkable building, but it is much more than that. The Elwick Community Centre is the hub of a diverse and densely populated community and members working together reflected the spirit of this vibrancy. 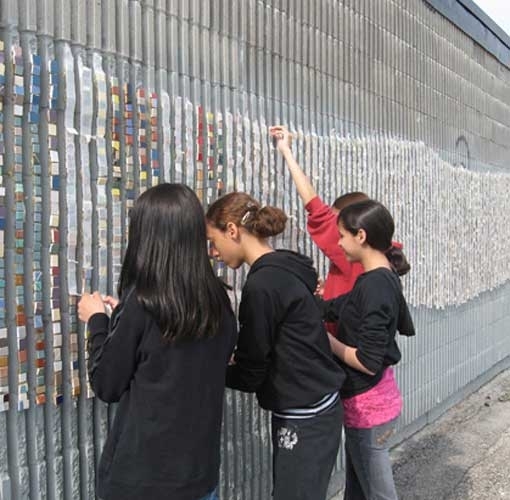 In working collaboratively on an artwork, neighbours who may not have met were brought together to share stories, to voice their commitment to their neighbourhood, to take their community back. Leaders have emerged and skills have surfaced and have been encouraged in many different aspects of the project. 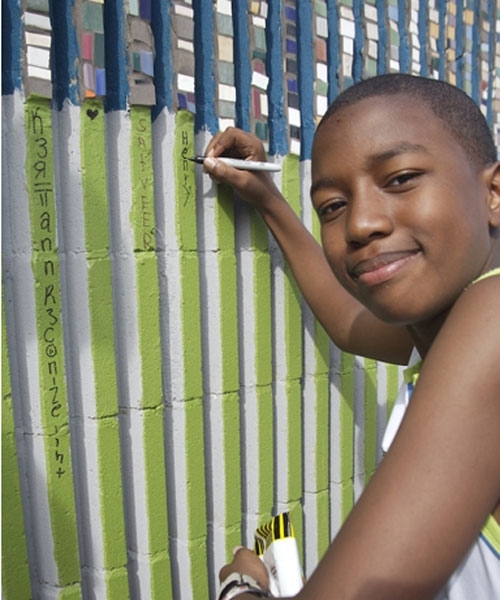 The art project has become a catalyst for community driven action. Dimitry Melman-Komar, in over thirty years as a professional artist, has gained an impeccable reputation for artistic excellence, quality and professionalism. Mr. Melman-Komar’s production of gallery quality artworks meet a consistent standard of creativity that demonstrates a mastery of his media – oils and mosaics. The artist’s work is installed in private collections and is on public display in locations around the world. In addition to his studio practice, Mr. Melman-Komar engages with his community through work with schools, drop in centres and through workshops and classes for people of all ages. 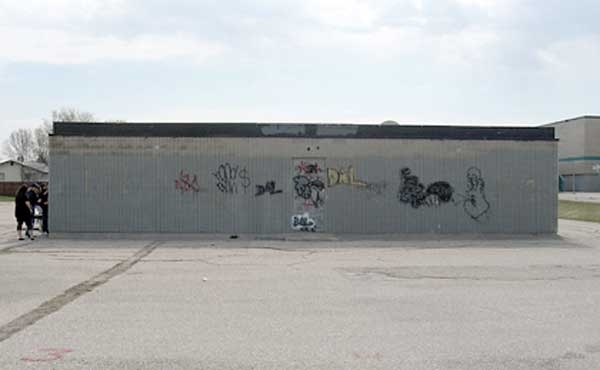 Elwick Community is located in the Maples and is bordered by McPhillips St., Inkster Blvd, Sheppard St. and Jefferson Ave. It is a small geographic area, but hosts a large populace, due to the 189 Manitoba housing units, abundant apartment complexes and side-by-side dwellings. The Elwick Community, along with its challenges and issues, has many positive forces working together creating a vibrant future. A goal in participating in WITH ART was to create an identity for this community that can instill a sense of connectedness, community pride and spirit that celebrates the differences, but works together for a healthy community.